Designed by Rocky Roquemore, the inspiring Quinta da Ria golf course borders the Ria Formosa estuary and is surely one of the most beautiful golf settings in the Algarve, offering golfers with spectacular views of the mountains and coast of the beautiful natural setting in a Nature Reserve with the blue sea as its southern boundary. 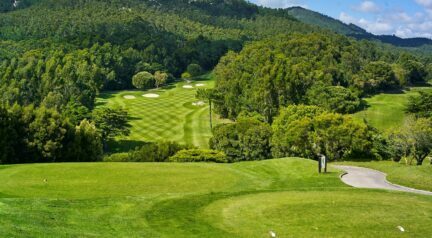 Quinta da Ria spreads along an almost flat terrain with greens that are slightly undulating and well protected by bunkers and, on 6 holes, man-made lakes. 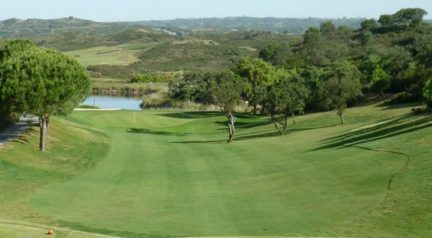 Beware of the reeds that have sprung up around all the water hazards, and steer clear of the ancient knarled olive and carob trees that are liberally dotted around the golf course, giving definition to the often luxuriously wide fairways. Book now. Just Tee Times.com offers the independent golfer who wishes to only book golf, a quick and easy solution to access golf tee times at competitive rates saving time and money.